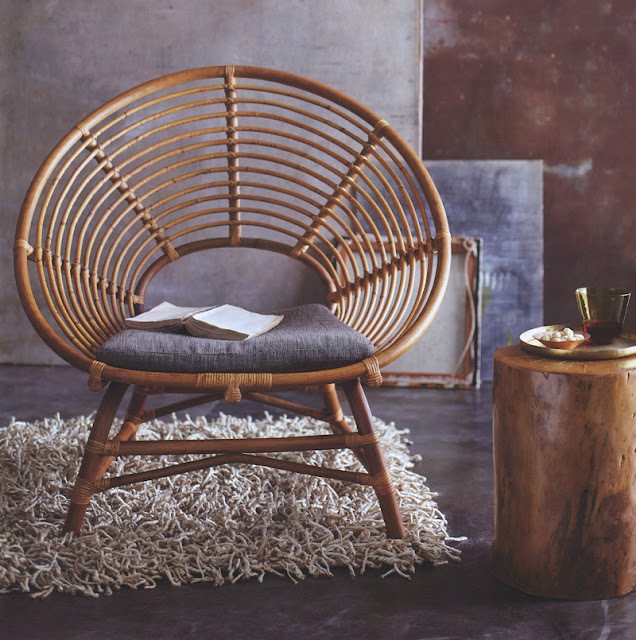 We love the modernist form of this rattan relax chair. Design lovers will appreciate this superb relax chair that looks like a sculptural work of art! The exceptionally beautiful Ringo Braziliana chair shows influences of the modernist movement that swept Brazil by storm during the 1950s. We love that the chair has an artisan yet modern vibe. This attractive and cozy relax chair is beautifully crafted in rattan. Strips of rattan are woven by hand around a natural pole rattan frame, to create a comfortable and inviting seat with sculptural appeal. It combines expert craftsmanship with architectural refinement. With its open and airy feel, our The chair would look amazing in any living room, bedroom, sunroom or in a large loft space. It is lightweight and easy to move around, making it a perfect lounge chair for any interior. With its open and airy design, our iconic chair is undoubtedly the best seat in the house. Place them in groups or use a single piece as a unique accent chair. For indoor use. Cushion is included.